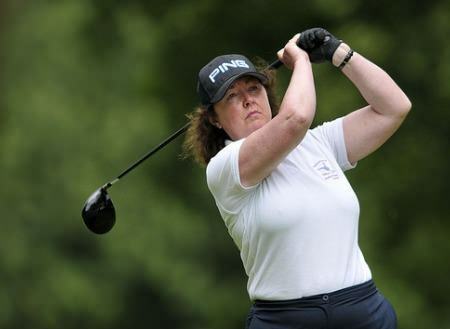 Ireland's defence of the European Senior Ladies' Team Championships won't begin until Wednesday following the postponement of the first round because of a waterlogged course at Gut Altentann Golf Club in Austria. Heavy rain during Monday's practice day left the course unplayable but there will still be one strokeplay qualifying round, as planned, followed by match-play. Ireland are hoping to successfully defend their title having won the 2013 Championship in Bled, Slovenia. The Senior Ladies Team qualified fourth and subsequently beat Sweden, The Netherlands and Italy to secure the Gold Medal. The Irish is the same as last year — Suzanne Corcoran (Portumna), Pat Doran (Donabate), Sheena McElroy (Grange), Gertie McMullen (The Island), Carol Wickham (Laytown/Bettystown) and reigning Irish Seniors Close champion Laura Webb (East Berkshire).